A Salt racker preparing the ground for a dousing with sea water. When the water evaporates, salt crystals are left behind. 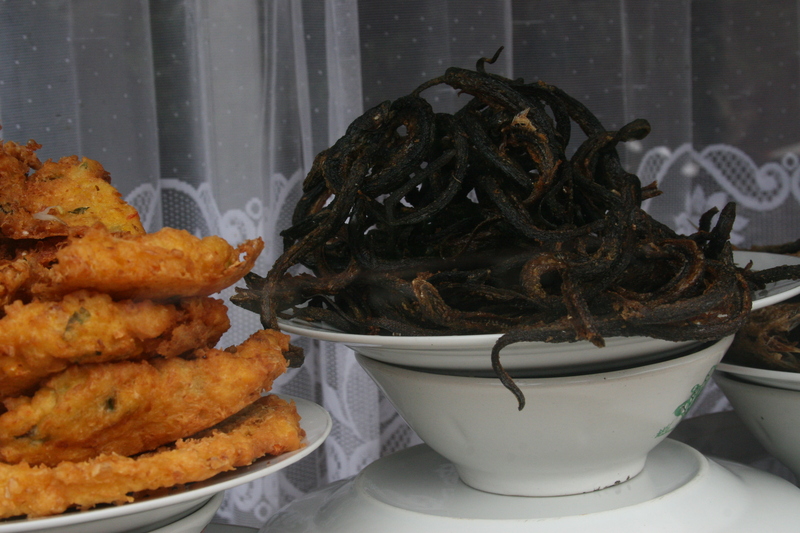 Masakan Padang, or Padang cuisine originates from the western Sumatran Minangkabau culture and here in Aceh the muslim, halal dietary laws dictate food preparation. Now this is all behind the scenes and doesn’t affect the delicious smells that waft from the small “warungs” and restaurants that line the streets. There are a couple of unique kinds of restaurants here – the Padang restaurant is easy to spot as it usually has a window-front displaying a great variety of dishes. A thin white curtain protects the food from flies and other critters and you either serve yourself (buffet style), or you point to what you want on your plate. In Lhok Nga, we ate at Dian’s Warung almost every night and here, Dian didn’t stand over you and write down what you were taking, it was more like the honor system where you told her what you had when you paid the bill. Such trust! Most of the time our bill, including drinks was 17000Rp-25000Rp- about $2 per person. The other dining style is called “hidang” and this is where up to 25 different plates of food are placed in the center of the table and if there isn’t enough room, well the new plates are just balanced and stacked on top of each other. Here you choose what you want to eat from the vast array in front of you and are only charged for the dishes you taste or eat. They somehow know if you just dipped a spoon in for a taste! The choices can be overwhelming – different curries (vegetable, fish heads and of course beef and chicken) but there is also Sop-Buntut (oxtail soup), Cumi (squid) and a personal favorite, Ayam Goreng (fried chicken). Prawns, fried fish and cow brains are available and yellow and white rice always accompany the meal. A bowl of water is usually set on the table for washing your hands as it is customary to eat without utensils, however, forks and spoons are given to us. Pure fruit juices of papaya, melon, lime, pineapple and alpokat – avocado juice flavored with a generous drizzle of chocolate (this is absolutely delicious but without the chocolate) are much better than water and I’m afraid we’ll be craving them when we come back to Arizona. Returning from Sigli to Banda Aceh we were on the hunt for fresh durian fruit. But first there seems to be a ritual. We all stopped at a noodle warung where we had steaming bowls of Mie Aceh Kuah, (spicy soupy noodles with chicken and vegetables) which I believe was suppose to prepare your stomach for the durian. So, outside the mosque in one of the larger towns were heaping baskets of freshly picked durian fruit, men sat and squatted around the pile in earnest discussions. They were tapping the fruit with their machetes to determine the ripeness, I presume, and when the pile of selected fruit grew in size the negotiations began. Picking the perfect durian is like picking the perfect Christmas tree. With 6 medium fruit in hand we went to a small nearby cafe and this is where we had the first taste of this intriguing and much maligned fruit. Imagining we were going to have to hold our noses to cut out the notorious smell, we were all surprised that there was only a faintly, musky fruit smell. Unfortunately, after all this, the fruit itself wasn’t fully ripe, the texture a little crunchy and the flavor – I just can’t liken it to anything else – for some of us it was good, others I think will pass on trying it again. So the search continues for a really good, ripe durian. We’ll be letting you know if it lives up to its reputation. 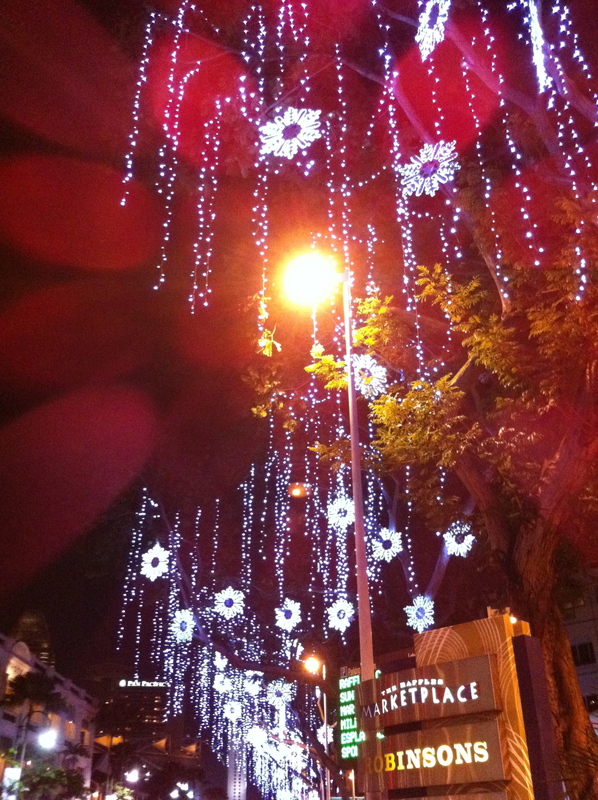 If you want to view the photos a little faster, just click on the current photo. Yuri always rises at dawn and heads to the beach to check out the surfing conditions. He had felt the earthquake, but that was common on the island of Sumatra being so close to the ‘ring of fire’. But what he saw that Boxing Day, 2004 will forever haunt him; the narrow beach was now a huge expanse of sand reaching far out into the bay and the immense wall of water he could see in the distance made him rush home to raise the alarm. Nina was also up early and saw an island in the bay she never knew was there. Fleeing on foot, on scooters and motorbikes some 400 people ( population: 7500) from the village of Lhok Nga reached higher ground where they watched a 35m wave flatten their homes and change their lives forever. The height of the waves varied widely along the coast, but whatever the height, the power of a wall of water is one of the most destructive forces on earth. There are so many stories and sorrows from this early morning disaster and yet, 7 years later, trees and vegetation thrive, traditional homes have been rebuilt, businesses are opening, major infrastructure projects have been completed and the tourists are coming back. There are very few elders in the villages and almost all the children are under 6 years old. Main Street in Lhok Nga. With around 32 inches of rain per year, the area was quickly replanted and there doesn't seem to be much damage to the soils from the seawater..
Map showing the damage to the northern part of Sumatra from the 2004 tsunami. Map of tsunami damage in the Aceh. This electric generating ship was anchored in the harbour prior to the tsunami, but now it lies 5km inland! It is being turned into a memorial and tourist attraction. Almost none of these "aid" houses are used by the local people because they are too close together and don't take into account the extended families and businesses that share a common plot of land. Abandoned marketplaces, cookie cutter homes and other structures erected with foreign aid show the lack of communication between the needs of the local people and the missions of the NGOs. USAID packing material is used to cover some windows in a local house. This is all that remains of the bridge across the tidal river in Lhok Nga. A new bridge has been constructed about 20m upstream. Traditional Structure in Lhok Nga used by the fishermen in the village. 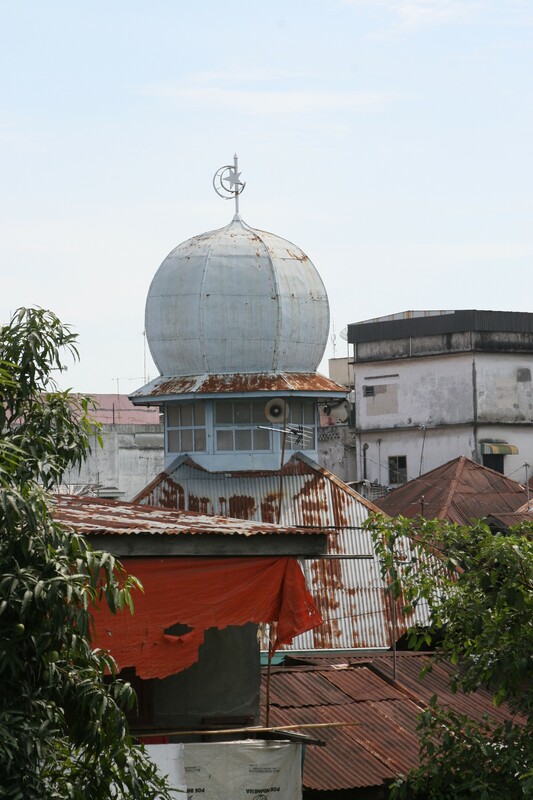 The Grand Mosque in the city of Banda Aceh was virtually undamaged. Mami and her sister farm this small rice paddy just outside Lhok Nga. 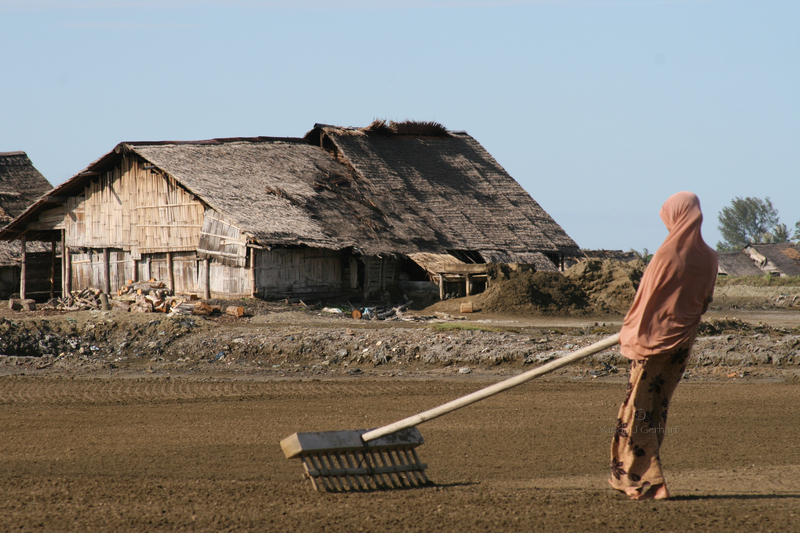 The agricultural knowledge in the area was lost when many of the elders died in the tsunami. The sunsets are spectacular over this beautiful sandy beach at Lhok Nga. And, just yesterday, we heard the great news that a young 15 year old girl, swept away in the 2004 tsunami, had wandered back to her village and was reunited with her family…….